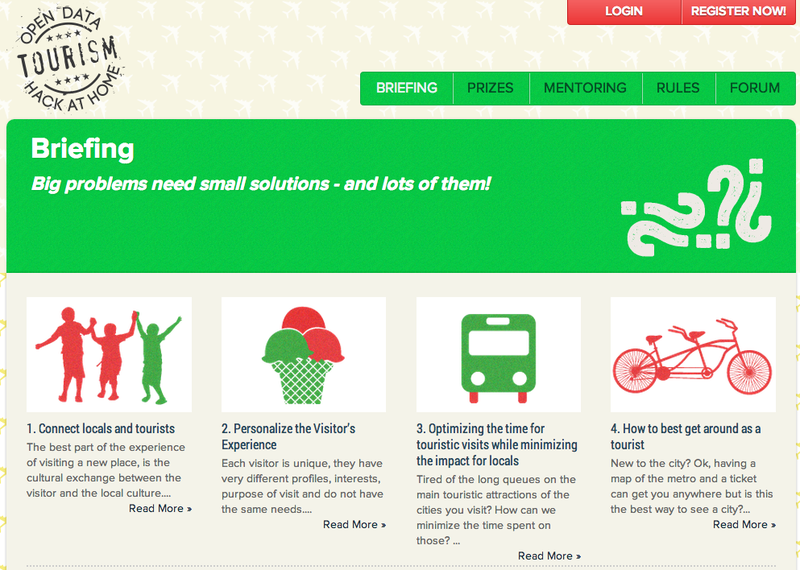 The Open Data Tourism Hack-at-Home aims to create apps to help cities manage the challenges of tourism. One of the cities you can enter your app solution to is Barcelona! Deadline: 5/6/2013. The new Open Data Tourism Hack at home, part of the Open Cities project, brings together two important themes of the smart city – open data and sensor networks – and uses them to help European cities find new ways to manage the big challenges and benefits of tourism today. Check out the problems described in the briefing and the data provided in our platforms and get started!! We are looking forward to the solutions!